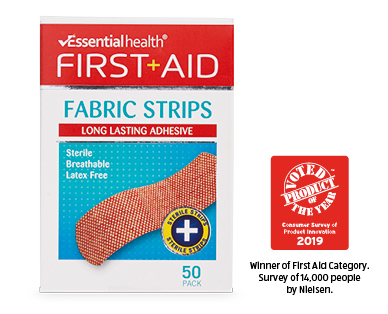 Essential Health First Aid Strips contain a DotPoint Pad that removes moisture for faster healing. 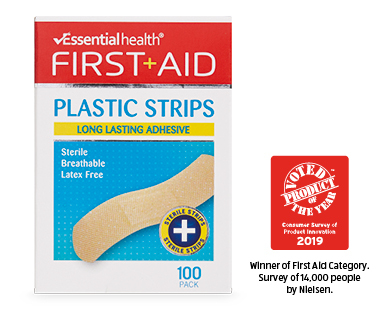 Made with long lasting adhesive, these strips are available in plastic and fabric strips and are both hypoallergenic and Latex free. Winner - First Aid Category.